We’d love your help. Let us know what’s wrong with this preview of Beyond Ice by Helene Zemel. In the midst of preparing her students for the school’s annual musical production, Julie Miller, a respected high school music teacher, is stricken with a life-threatening illness. As she and her family try to cope with the heart-wrenching news, Julie begins searching for answers to better understand her illness and the uncertainty of her future. While seeking out support from an online internet forum, Julie hears about a medical conference being given by the brilliant but reclusive Dr. Martin Singh, whose desperate search for a method to prolong human life has become all-consuming after the death of his beloved wife. Could this meeting with Dr. Singh be the answer to Julie’s prayers? Or the beginning of a horrific nightmare? 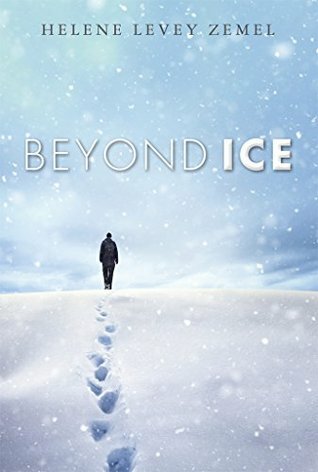 Beyond Ice offers a glimpse into a future filled with possibilities: cures for some of our most life-threatening diseases; hope for continued understanding and empathy for the afflicted and their families; and recognition of the delicate responsibility associated with scientific, technological, and medical advances. To ask other readers questions about Beyond Ice, please sign up. Beyond Ice a fast paced and thought provoking novel. As technology advances, what moral issues do we face? Readers will sympathize with Julie Miller and her family as they confront a life-threatening illness. I enjoyed the excellent character development and realistic dialogue. Although futuristic, the author paints a view of the future as it could conceivably happen. Along the way, the reader will discover some unusual but true facts.